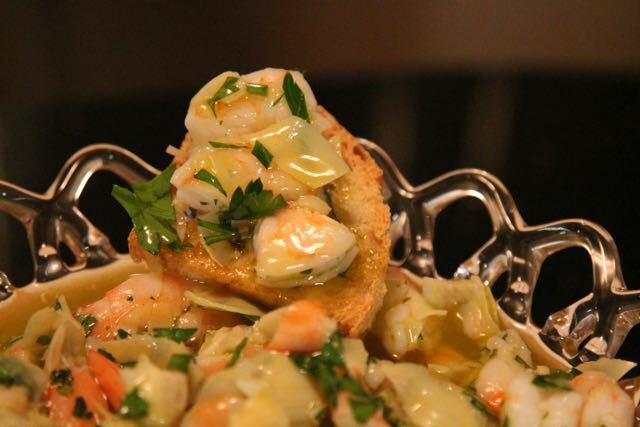 How can you go wrong with Shrimp and Artichokes? This recipe is so easy, elegant and impressive that you will be amazed. I’ve had this recipe so long that I’ve forgotten where I found it. It can be made ahead, travels well and when buy the shrimp peeled and steamed, this recipe is a snap to pull together. The Holiday season is so exciting but we can easily get worn down trying to keep up. There is always something to do, see, presents to by and parties to go to. Sometimes we have to remind ourselves to relax and enjoy the festivities. I’ve found that the simple things are the most enjoyable. This is one of those go to recipes that never fail to make us look good. Everyone needs that up their sleeve, right? 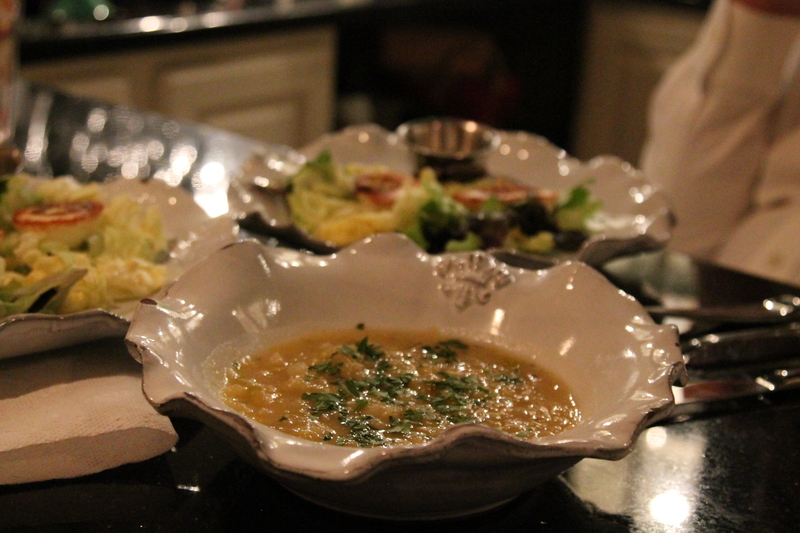 On Friday I had one of the busiest days on record and friends were coming over for dinner. Having recipes like this, that I can put together in our sleep save the day and keep me sane. The day of the gathering I picked up the shrimp, dashed home and had this assembled in minutes. Then I was free to focus on other matters like cleaning off the dining room table, setting up the bar, etc. 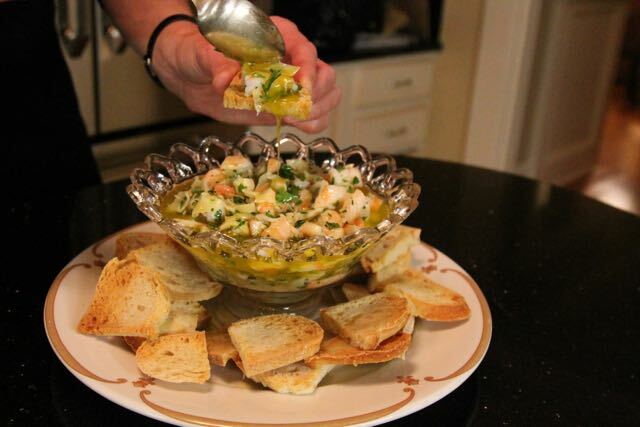 Just before the guests arrived I poured the shrimp mixture in my Grandmother Norri’s bowl over a plate to hold the crostini and it was a stunning display. How simple is that? It was the perfect thing to serve for our holiday festivities. This is a recipe that needs no embellishment, its clean simple flavors never fail to impress. This made such a beautiful addition to the buffet table that night. 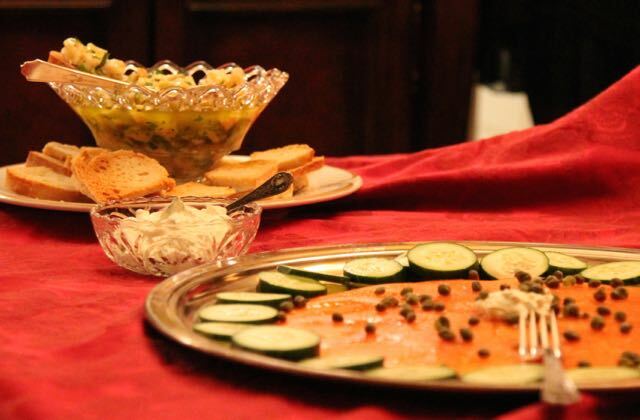 We had a seafood extravaganza with fresh lobster flown in from Maine, a smoked salmon platter and other goodies. It is such a blessing to pull this off with ease and elegance. Place the shrimp in a medium saucepan, add water to cover by one inch and bring to a boil, remove from the heat and cover the pan with a lid. Let stand for 15 minutes then drain the shrimp. Peel and de-vein the shrimp then slice on the bias into 4-6 pieces. Place them in a mixing bowl. 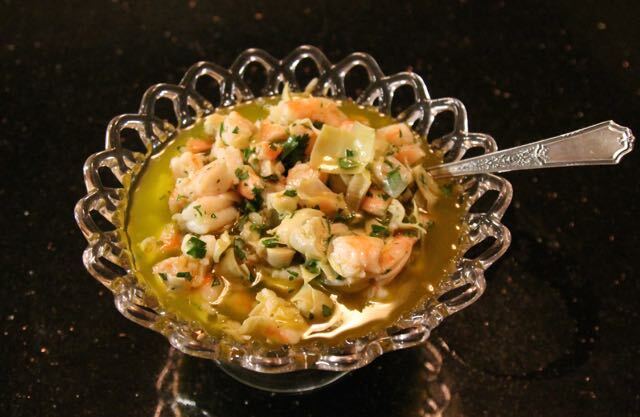 Drain the marinated artichoke hearts and finely chop, put them in the mixing bowl with the shrimp and add the remaining ingredients. Stir to combine and refrigerate for 1 hour to meld the flavors. 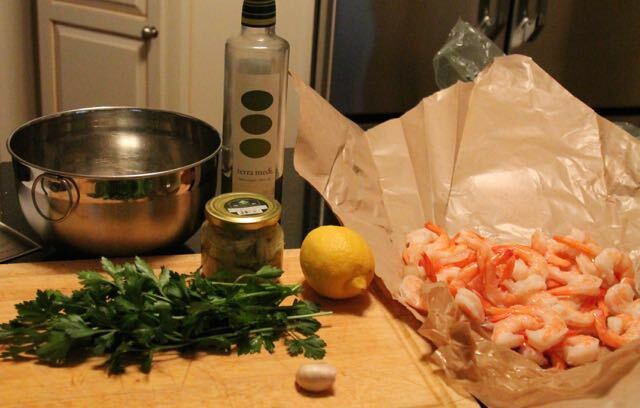 About ½ - 1 hour before serving remove the shrimp and artichokes from the refrigerator and let it at room temperature. Taste then season with salt and pepper as needed. Meanwhile, heat the oven to 350 degrees. Line a baking sheet with foil or parchment paper, arrange the bread slices without overlapping. Brush the slices with oil on both sides. Bake until golden brown, about 15 – 20 minutes, turning the crostini halfway during baking to brown both sides. Remove the pan from the over and serve the crostini warm or at room temperature. 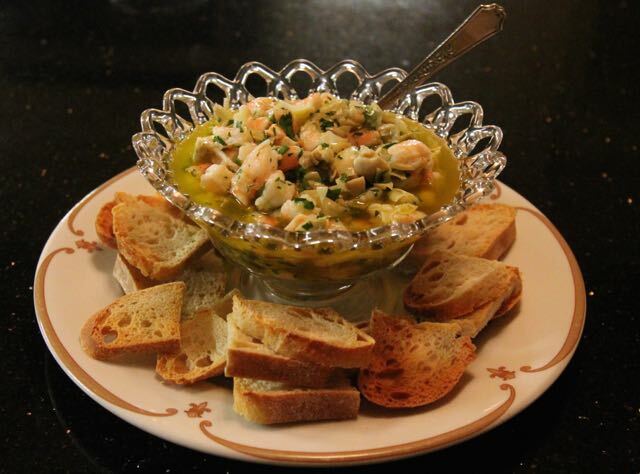 To serve spoon the Shrimp mixture into a bowl, serve with the crostini. You can ask them to steam the shrimp for you at the local seafood market, just take care that they don't add any seasoning. Sometimes you can get really lucky and find peeled and cooked shrimp in the case. I serve the topping and the crostini separately so bread doesn’t get soggy but feel free to put them together and serve them on a tray. Leftovers make a great salad, just add some crisp romaine or even pasta. 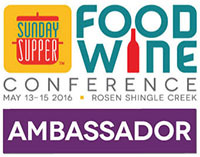 Check out all of the last minute holiday recipes and ideas from Sunday Supper! This entire spread looks amazing! I’m all about the smoked salmon and cucumber combo and now I just have to try this shrimp and artichoke crostini! I love these crostini, Monica! 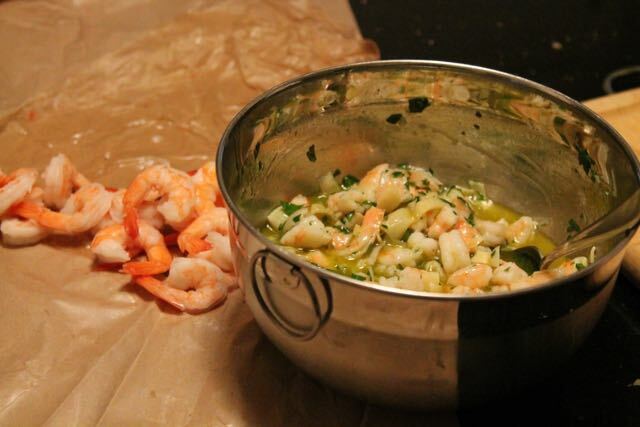 I’m a sucker when it comes to artichoke hearts—and pairing with shrimp sounds amazing! This looks so good! Love the presentation. Shrimp and artichokes are so good together! What a festive appetizer too. What can I say except YES PLEASE!!! What an original combination of tastes. Your punch bowl style presentation is genius. This reminds me of a recipe my grandmother makes. Hers doesn’t have the artichokes, though. I bet it’s great!